Over the last 3 years, Blakeman Propane has used Skyline Builders on several projects. We have been very pleased with the quality of the work performed and the professional conduct of the employees. I would use Skyline Builders on future projects and recommend them to others as well. 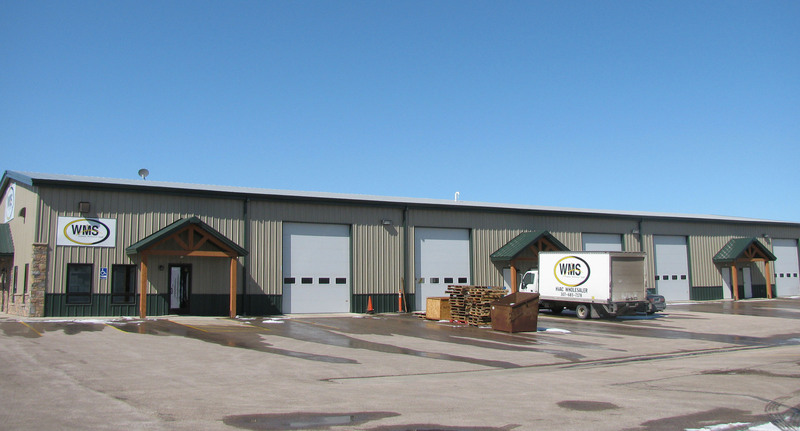 We had Skyline Builders be our General Contractor and put up a new building in 2009. They were professional, had excellent quality, and were wonderful to work with. The project was done on time and under budget. We would highly recommend them for any projects that you need. Thanks for taking a look at Skyline Builders! We know you have many options when choosing a builder for your project. This is not only one of the most costly and important decisions you’ll make, it can also be very unsettling and nervewracking. There are three primary reasons our customers choose Skyline Builders when they have a major project to tackle. 1.Skyline Builders is professional. As an experienced and local contractor we promise you’ll enjoy the process and experience of constructing your home or facility. 2.Skyline Builders is a premium contractor providing excellent quality in places you cannot see after construction as well as those you can. 3.Skyline Builders commits to clear communication with you from start to beyond finish. There will be no surprises on your project or in the billing process. You will find from testimonials and these photos, which speak volumes more than words, that Skyline Builders is committed to providing a unique and positive experience as you construct one of your most valuable and complicated assets – your home or facility. Schedule a meeting with me so we can ease your mind and you can begin to enjoy this process we call construction! No matter what the scope of your project or your choice of structure type is, Skyline Builders is the choice builder for Agricultural, Light Commercial, and Light Industrial applications. As a general contractor Skyline Builders focuses on collaboration with you to complete your project on time and on budget. Complete satisfaction is why our customers keep returning! Share the Skyline Satisfaction experience and contact us today!